Welcome at Schottenhof - your "holiday on a farm"-destination! 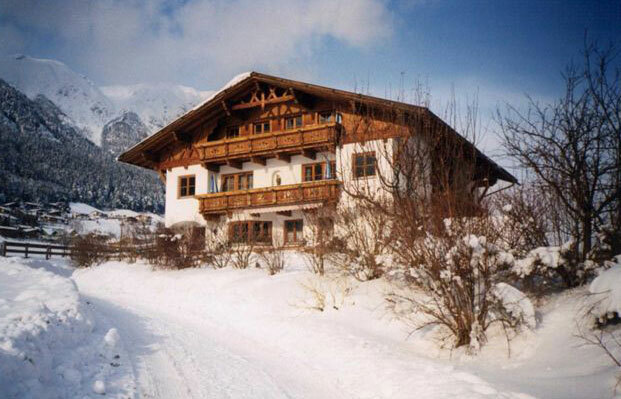 Holiday at our farm is paradise for our guests, come and enjoy a warm and friendly welcome and a family-like holiday in the middle of the Austrian alps. Our farm is awarded with "four flowers", the four stars of the "holiday on a farm" association. Our farm is in walking distance to the village of Fulpmes where you find shops and restaurants. Summer and winter you will find many possibilities to spend your time, sport activities like skiing and hiking, relaxing and just enjoying the sun and the gorgeous mountains. Take a look at our website and discover one of the most cosiest places in Austria - Schottenhof in Stubaital! We are happy to welcome you on our farm - your family Denifl.